What happens when an ultra sensitive, cautious Cancerian bumpety-bumps around with a carefree, casual Sagittarian, whose specialty is blurting out arrows of truth that sting, however unintentionally? It depends on the phase of the Moon, actually. 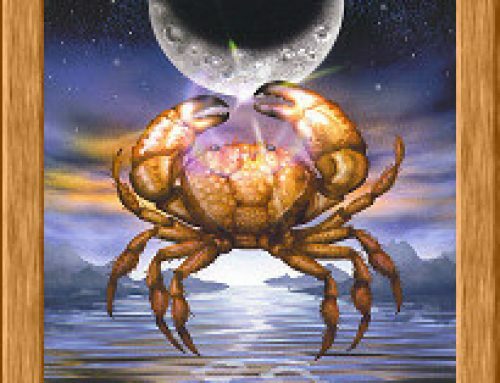 Since Cancer is ruled by the changeable Lunar vibrations, the Crab could react to the “slings and arrows of outrageous fortune” (and outrageous remarks of Sag) in several ways. By snapping back crabbily or pinching sharply (Crabs do have sharp pinchers). Perhaps by crawling inside the tough crab shell to hide and pout, quivering like a bowl of jelly over the indignity of it all. Or by just sitting there, deeply wounded, shedding trembling tears. It’s sort of like when you’ve been crying over a toothache, and suddenly you break your leg. You forget all about the throbbing tooth. Or when you’ve been fussing and complaining about a small bee sting on the end of your nose, and along comes Sag to crack you over the bean with a verbal baseball bat. The only courteous thing to do is to thank Sag for curing you forever of sniffling over bee stings, right? Right. A few stitches, and your head (or self-confidence) will be like new again. Now the Archers will be nodding, thinking these observations are all quite logical and philosophical. Some of them may even be saying, “That’s true! 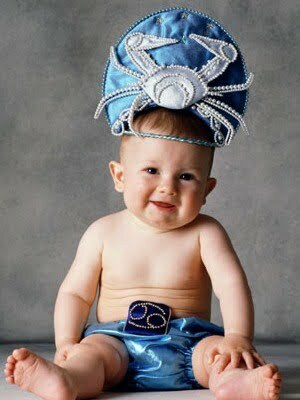 Every cloud has a silver lining.” (Sagittarians are equally as fond of that Pollyanna truism as Librans.) Admittedly, it’s not always easy to view a Sag as any sort of silver lining when he (or she) is aiming the Jupiter bow straight toward your Achilles heel, but the truth is that the Archers are optimistic. Nearly as much so as Libra, but with a touch more skepticism. 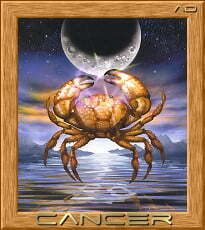 There are times when the sensitivity and sympathy of Cancer combined with the direct candor of Sagittarius can be a favorable blend of qualities, resulting in some very clear thinking, whether they’re blended through an association between an individual Crab and Archer – or combined within one person, such as a friend of mine, who’s a Sun Sign Cancerian, with the Moon and Ascendent in Sag. One day when she dropped by to visit me in my home, she was looking through a current, popular weekly magazine, trying to locate a certain advertisement she wanted to show me. After a moment or so, she found it. “Just look at that,” she commanded, her eyes full of Lunar tears, but her voice full of Jupiter anger. Taking up most of the space in the double-page ad was a color photograph of a small boy named Troy, age eight – posing with bright eyes and a happy smile beside his Hampshire gilt, a blue-ribbon-winning, 236-pound market hog that Troy calls Betsy. The prize hog was velvety soft and plump, a beautiful midnight blue color, with a curly tail, trusting eyes and appealing, floppy ears. In the picture, the little boy was lovingly stroking his gentle friend, Betsy, with so much pure, childlike love and affection in his expression. After her words had poured out, she was trembling, with a mixture of com-passion and fury. Her maternal Cancer Sun Sign was causing her heart to break over the face of the child, while her Sagittarian Moon and Ascendent (Sag is an animal lover) caused her remarks to be blunt and honest, plain-spoken and to the point. “I know,” I tried to comfort her, “and I share your feelings. You’re right. Nevertheless, spiritual awareness is gradually beginning to grow, as people feel the vibrations of the Aquarian Age. One of the proofs it’s growing is that the owners of slaughterhouses have nervously sensed the change, and no longer allow the public to enter and see what goes on inside. The people who work there suffer too, in a different, but maybe equally as terrible a way as the animals, because a recent survey of all occupations by insurance companies revealed that butchers and employees of slaughterhouses are among the groups with the highest rate of suicide – and while that’s a sad statistic of subconscious guilt, it’s an indication that Earthlings are slowly but surely coming closer to enlightenment.” After awhile, my friend stopped crying – about the same time I did myself. 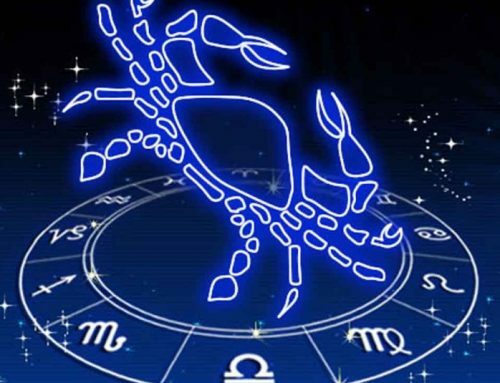 At various times during this 6-8 Sun Sign Pattern association, the Crab and the Archer will clash over the subject of money, which is always burning a hole in Sagittarian pockets. It seldom burns a hole in Cancer’s pockets. It’s more likely to tear loose the seams with sheer weight, because the Crabs do enjoy accumulating large amounts of cash, and they prefer it be as near their person as possible at all times. Their fights will be frequent in the area of finances, but they can probably come to some sort of compromise, through friendly mutual agreement. The one astrology would suggest as being the most helpful is for Cancer to maternally (or paternally) keep patching and sewing up the holes that money bums in Sag pockets (training the Archer to be a bit more conservative, in a gentle way) and for Sagittarius to keep Cancer’s pockets from bursting at the seams by kindly offering to take some of the Crab’s excess cash off his (or her) hands to invest. Archers are startlingly lucky regarding matters like gambling, such as the stock market (the biggest gamble of them all). This will have a dual benefit. It will train Cancer to be more generous and giving, and it will also tickle the Crabs when they gradually learn that Sag has an unexpected way of quickly doubling their money for them – some of the time, that is. Everyone can experience a losing streak, and on such rare occasions (since the typical Sag is too blessed by Jupiter luck to suffer major losses consistently) the Crab must refrain from snapping, pouting and scolding. Otherwise, the Archer will leave in a huff, after causing Cancer to weep by zinging a few pertinent parting remarks about stinginess, and refuse to do any more favors if they’re not appreciated. The Cancerian man or woman will inevitably (even though in the back-ground) be the subtle leader of this 6-8 association between two people who are so very different from each other. Because the Crab is Cardinal and Sag is Mutable. Being Cardinal causes a person to secretly be determined to be in command, and openly resent taking orders from others. 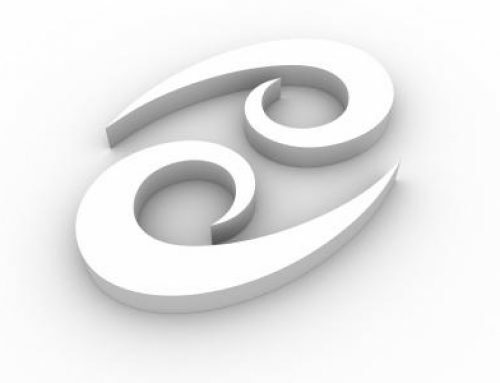 There could be some difficulty here, because, although Mutable Sag is not particularly interested in being a leader (Archers would rather gallop around, hither and yon, communicating ideas) Sagittarius nonetheless actively (and outspokenly) dislikes taking orders himself – or herself. The Human end of the dualistic Sagittarian Centaur may be able to accept it cheerfully and philosophically – but the Horse end will kick considerably, and rear the equestrian legs in the air now and them. Sag is half Horse, half Human, you know, both symbolically and literally. One of those double Sun Signs of duality. Although the Human end is quite bright, often highly studious and intellectual, and optimistically philosophical – the Horse end (which is the rear end of Sag) is equally stubborn, contrary, unpredictable … and amazingly swift at racing away from problems. Also liable to kick dangerously when freedom is threatened. Since the Crabs really can’t help their inbred trait of possessiveness (which, used in a positive way, can be a warm and cozy virtue of solicitous protectiveness) they’ll have to be cautious that they don’t unintentionally smother the freedom of the Archers, who need large gobs of it in order to be themselves. (Freedom, that is – not smothering.) Of course, Crabs are naturally cautious by instinct, so all they need do is apply some of their natural Sun Sign caution to being careful not to stifle the free expression and action of Sag. If Cancer can manage to do this – and if the Archers will occasionally at least count to ten or twenty before stuffing their feet in their mouths (hammering on the Crab’s sensitive feelings with blunt observations) these two can have a rather jolly time of it together. 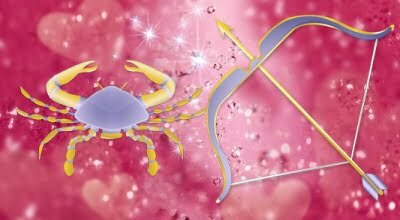 In some way, Sagittarius will end up by serving the Cancerian, by being helpful- because the Archers sense some mystery within the Moon-ruled Crabs they’re anxious to solve. Sagittarian curiosity being the burning thing it is, there will always be something to keep Sag fascinated, and interested in hanging around Cancer’s seashore, beneath the Full Moon, watching the tides flow in and out. .. in-between a few laps around the track when the Centaurs become restless and need some time alone to race against the wind, nearly always winning by a nose. And this fascinates the Crabs. With Jupiter’s benign and benevolent good humor, Sag adores playing practical jokes on people, but Cancer might sometimes miss the point. 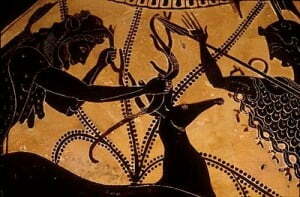 Then the Archer will give the Crab a gentle nudge … and finally the Lunar one will laugh, until he (or she) cries. Not over the joke alone. But because Cancer is deeply moved by the naivete and idealism of the brave and optimistic Sagittarian, who keeps clumsily falling, then picking himself up with a bright smile … to try once more to reach the winner’s circle. 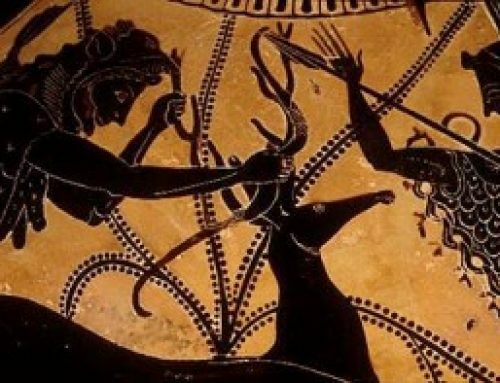 Those times when Jupiter allows the Centaur to be victorious, the happy, generous Archer will probably trot right back to the seaside, and offer to share half the good fortune with the Cancerian friend or relative, stuffing the Crab’s pockets again with childlike glee. Jupiter rules the huge, the expansive, and sometimes only a Crab really knows how large a Jupiter heart can be. Someday, somehow, Sagittarius will teach Cancer the beautiful rewards of giving, cheerfully guiding the inwardly timid, fearful Crabs toward the Sagittarian religion of truth. Then there shall be no more sadness and sighing .. “for God shall wipe away all tears from their eyes.” How can you cry when you’re laughing at the courageous Archer’s latest endearing clumsiness?